The manic situation that is Monday has progressed into the calmer, more gentle Tuesday (or at least, I hope it's more gentle for you). The rest of the work week is ahead and you could use some help getting through it. And if you're tired of listening to your co-worker's pop music, grab your headphones and listen to some gaming podcasts. 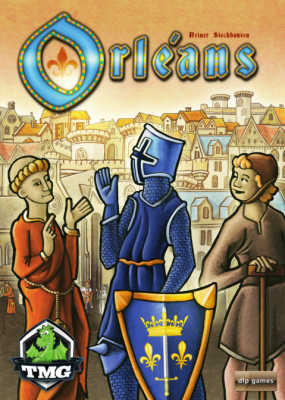 Today we have: Blue Peg Pink Peg Episode 65- Orleans & Evolution of a Gamer, Epic Gaming Night Podcast Ep 38 Q&A, Privateer Press Primecast Episode 26, D&D Podcast: Chris Perkins and Tracy Hickman on Curse of Strahd, and News of the North – 2016-01-26. Gaming minds collide when Chris Perkins and Tracy Hickman talk about the return to Ravenloft in D&D's latest adventure, Curse of Strahd. 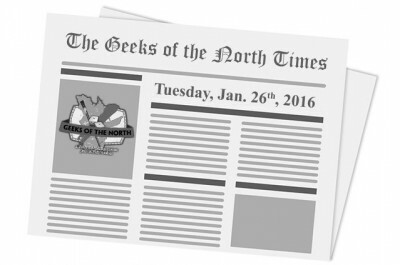 Welcome to the January 26th, 2016 edition of News of the North. Here’s our weekly selection of interesting news items in the miniature wargaming world.